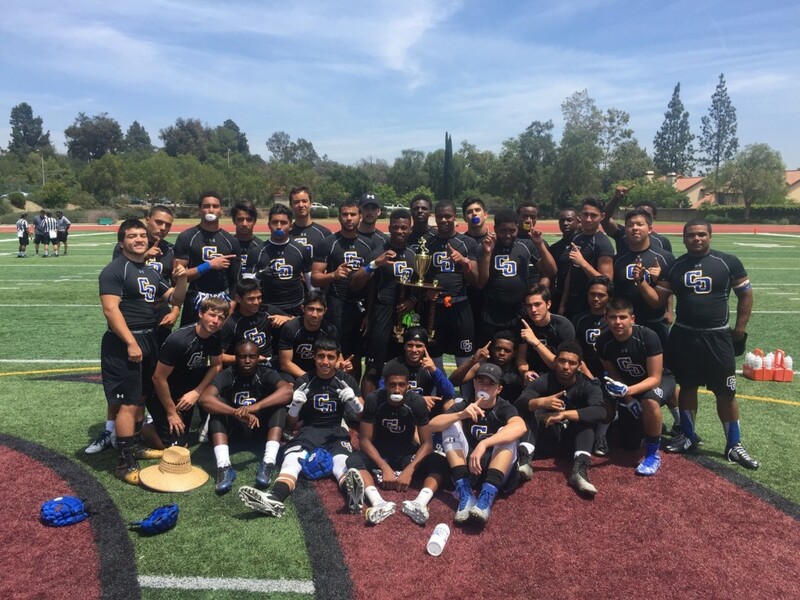 Charter Oak beat Claremont, 22-18, in the championship game to win the Claremont Tournament. The Chargers have a very dangerous collection of weapons this season led by Cal-bound RB/WR Zion Echols, reigning Tribune Offensive Player of the Year QB Kam Brown and future super recruit Bryan Casteel. Aram’s Take: Like I said at the CO Tournament, the Chargers have some of the best skill talent in SoCal. Just hope they got some line play. Congratulations to the Chargers. I was at the Claremont tournament. The skill players looked very good. The key this year to them winning a ring is going to be defense. Looks like can put up points. With Echols, Nash ,Castel it will be a matchup nightmare for most defenses. I also saw some promise from some of the young players also. But over the years of watching Big Lou’s teams they can always put points up but lost many times at the end from a blown coverage, missed tackle, or an unforced penalty. If the line stays healthy and a few young player step up this could be a “throwback” year for CO and rings for everyone. CO defense has one of the best HS coaches in Lehigh. If they coach up some tough linebackers, they should be fine on D.
That La Mirada game going to be good ..